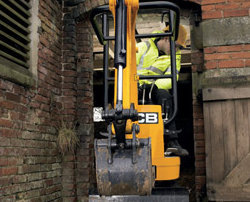 The 1929 lb (875kg) 8008 CTS micro excavator is a compact machine, capable of high performance in the most restricted areas, including within buildings and in rear gardens. In fact it’s the most powerful machine of its size on the market. As such, the 8008 CTS micro excavator can dramatically reduce the time and manpower (just one man plus the machine) it takes to carry out labour-intensive digging jobs. 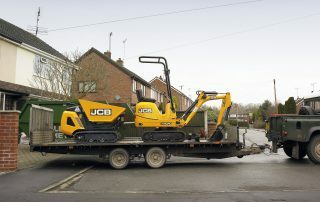 The JCB 8008 CTS micro excavator is small enough to be trailered between sites and has a whole host of attachments for even more versatility. 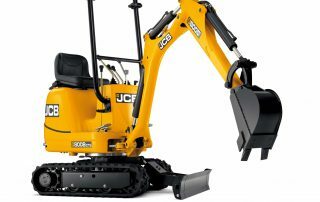 No wonder our micro excavators are popular with everyone from rental companies to landscapers, redevelopers, grounds care operators and DIY enthusiasts. 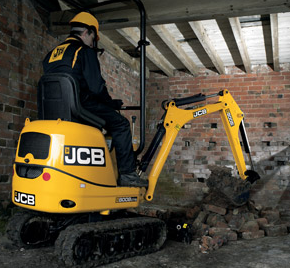 A JCB 8008 CTS micro excavator is an incredibly adaptable machine. 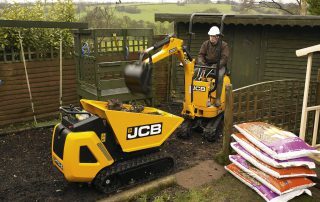 Its class-leading 12hp (9kW) engine, extending undercarriage, class-leading dig depth and class-leading reach give it enough grunt and stability to perform a wide range of tasks. And, because the 8008 CTS is lightweight with low ground bearing pressure, it’s ideal for things like levelling ground (without compacting), before turfing. An extending undercarriage and a weight-saving tubular boom improve performance even more. 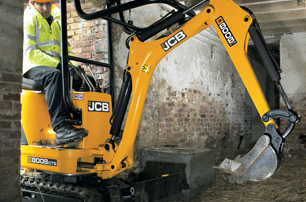 The JCB 8008 CTS is designed to maximize productivity and save man-hours. That’s why we’ve ensured that daily service checks are quick and easy to carry out, while an 3 gallon (11.5 liter) fuel tank means you get a full day’s running time. Hoses are routed through the boom for protection. To make sure JCB 8008 CTS’ class-leading performance is accessible by the widest audience, we’ve made it extremely comfortable and easy to use. We’ve built in exceptional leg room and there are no change-over switches to confuse the user. All functions operate independently of each other, which means professionals and novices alike can get to grips with this micro excavator quickly and easily. The JCB 8008 CTS micro excavator has two options to increase safety even further: a folding safety frame and a choice of rear or front-mounted TOPS protection.